Manufacturers who grasp the full potential of IoT are able to not only streamline production, but create entirely new business models and revenue streams. To facilitate long term, global growth and development, forward thinking manufacturers need an experienced IoT partner. Industrial manufacturing is being transformed by the Internet of Things (IoT). Today, the power to reduce cost and optimize production with industrial IoT is often the focus for manufacturers. But IoT offers manufacturers the broader possibility to create new, connected products and build service-based business models around those products. Manufacturing companies need to prepare for digital transformation with an IoT strategy in place. Understanding the real potential of information will help business move beyond just manufacturing to vertical business models. Sensor technology and connectivity make it possible to create increasingly smarter factories. For those starting, reduced total cost of ownership (TCO) is the most obvious benefit of industrial IoT. Most often, the initial savings come from reduced maintenance and service needs, as many tasks can now be performed over the air (OTA) or only as needed, based on feedback from connected devices. 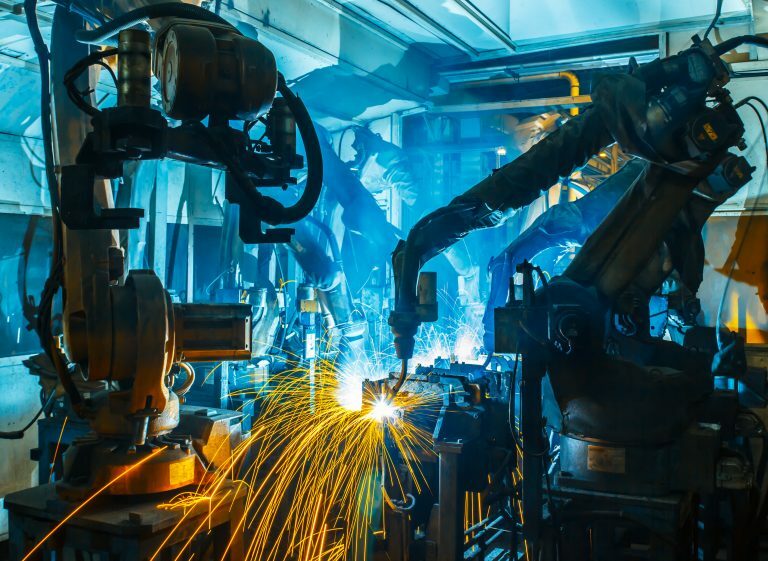 The next step for connected manufacturing is to utilize the information from connected manufacturing to further optimize operational efficiency, use resources more efficiently, and prevent downtime. When automation is introduced, devices can work together in unison, even if they are separated by great distances. This enables flexible production techniques that can easily scale and rapidly respond to consumer demand. Once they leave the production line, connected devices have the potential to give manufacturers real insight into how the product is used and performs. But that usage data has often been hard to access, and difficult to leverage. Today, with ever increasing speed and coverage of connectivity, connected devices can often be accessed in near real-time. As the IoT industry has grown, there are now established frameworks and open APIs that help create practical applications for the data collected from connected devices. “Real usage” data can now empower product development to move in previously unimagined directions. In the past, the deal was closed for manufacturers when the product was delivered to distributors or resellers. Today, manufacturers have the chance to create lifelong relationships with end-consumers via aftermarket service offerings and add-ons. This is where companies can make vertical business models a reality. A connected product provides companies with the ability to connect directly to customer needs, building deeper, long term consumer relationships. The flexibility of a connected product gives businesses the ability to differentiate in markets across the globe. Adopting a product as a service (PaaS) business model gives manufacturers the chance at new revenue. Instead of asking customers for an upfront investment, companies can charge customers per usage or delivered value. That provides low barriers for consumer adoption, and the ability to quickly roll out multiple version to see what works best. Lack of knowledge and resources are still the most common obstacles for implementing IoT in the manufacturing industry. Rather than building their own expertise IoT internally, manufacturers should choose an external partner with the expertise already in place. A strong IoT partner like Telenor Connexion can provide all the necessary sensor technology, software and device control, and access to reliable connectivity. Beyond just tech, we provide our partners with industry experience and insight into emerging trends, to build a personalised IoT solution that can grow and develop over time. Most companies in the manufacturing industry will continue to adopt IoT primarily as a tool to reduce maintenance costs and improve product offering. Lack of knowledge and resources will still be the most common obstacles for implementing IoT projects, slowing down the pace and increasing the need for external expertise. End-customers will increasingly choose connected products to ensure longevity of product life and better customer service. Companies in the manufacturing industry will continue to pick up speed very fast. To be able to focus on their core business many companies prefer to buy the whole IoT project as a service from an exterior IoT partner. The manufacturing industry will learn to more effectively collect, select and apply data which will create new opportunities. New emerging IoT technologies can be a good complement to existing ones and allow for more cost efficient IoT adoption of items that have previously not been financially viable. More manufacturers will use IoT to create product as a service (PaaS) business models as a path to direct relationships with end-users, increased customer loyalty and experience, and new revenue streams. The ecosystem approach will be more common and will disrupt the value chain for many companies. This will mean an opportunity to gain a more prominent role as an enabler with possibilities of new revenue streams as well as cost reductions by a more seamless supply chain.